Place cream, lemon juice and mustard in a blender. Season with salt and pepper. Gradually add walnut oil in a steady stream while blending. Set aside until assembly. Arrange greens on serving platter. 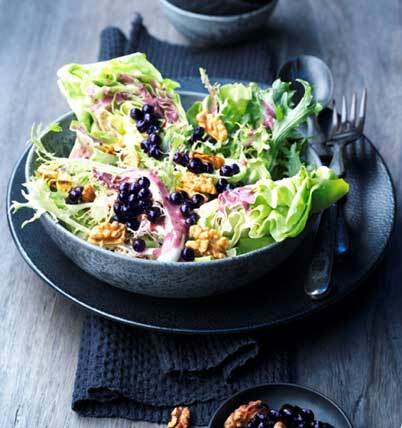 Spoon blueberries and dressing over greens. Garnish with toasted walnuts and serve.